Can be used as a Front Loading Kiln or... ...as a top loading kiln. 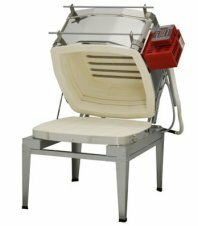 EvenHeat's Studio Pro 14 kiln has been our best selling kiln since it came out. The Studio Pro 24 takes the design concept to the next level. Lid Safety Switch cuts power to elements when kiln is opened - doesn't interrupt your firing program. Shipping weight is 280 lbs, must go via Motor Freight. Allow 3 weeks for delivery, depending on factory production schedules. This kiln must be shipped via Motor Freight. We will find the most cost effective freight carrier for you and contact you with estimated shipping costs and payment methods. 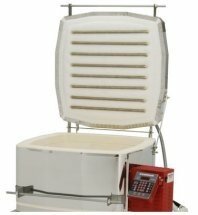 In many cases, we can have this kiln delivered for $125 to $150, depending on your location or any special delivery requirements.